Working with the Nashville Mayor’s Youth Council or young minds from all over the nation (and the world) with GRAMMY Camp and Pro Sessions - the power of student voice is critical to any learning experience we create. Voices we value. Voices we hear. Voices that make a difference. Because ultimately - these young minds are the end recipients of what will be created and implemented on their behalf. Essential to have their input at any juncture of education design and experiential learning. 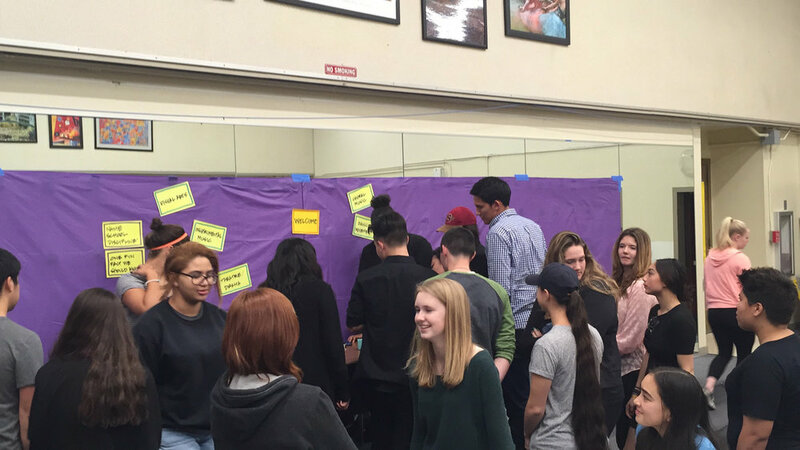 We assembled over thirty students from three different high schools (Napa, Vintage & American Canyon) - who had never convened together in the same space - to help shape the Arts Education Master Plan in Napa, California. What ensued over three hours was an outpouring of ideas, passion, invention, disappointments, celebrations - and ultimately - solutions for building and improving arts education in their school district. The level of empathy these high school students had for each other and their teachers was remarkable and enlightening. Whether it was choral, instrumental, theatre, dance and media arts disciplines - these young people shared common experiences and a language that unified their resolve. Not discounting the valuable input from educators, parents, artists, non-profits, community members and district leaders - the highlight of the initiative for me was the Student Voice Session. Both personally - that we made a trusted connection together in such a short period of time, and professionally, that the student insights could be incorporated into the writing - were in part responsible for the school board and superintendency unanimously approving the NVUSD Arts Education Master Plan. But don’t take my word for it. Read this remarkable speech by Jori Herman - a Napa Valley High School senior and musician who emerged as an articulate and powerful advocate for the arts during the Student Voice Session that evening. (l to r) Transformative Leader & Maverick Napa High Principal - Annie Petrie, Jori Herman - Student Keynote Speaker & Patrick Bolek - MPL CEO & Master Plan Author at the Arts Now Napa Summit. She impressed the Arts Council Napa Valley and Festival Napa Valley leaders present that evening so much, they were determined to find a platform for her self-expression. Jori was featured during the Arts Now Napa Summit luncheon as a keynote speaker. Beyond proud of this opportunity for her. Make student voice part of your next big idea.